We’ve won a national fuel poverty award! We’re very proud to announce that last night, we picked up the 2014 Ashden Award for Reducing Fuel Poverty. This new award recognises outstanding contributions to tackling fuel poverty in the UK, with entry only open to former Ashden Award winners. The Judges commended CSE’s ‘extraordinary influence’ on national policy towards fuel poverty. “CSE is leading the way in tackling the huge problem of fuel poverty in the UK,” they said. “Aside from its significant achievements in helping tens of thousands of people in the West Country manage their energy bills and in sharing its resources with many other organisations, its influence on national policy towards fuel poverty is quite extraordinary." There are three ways that we work to tackle fuel poverty. Firstly, we work in our local area. Our energy advisors directly help thousands of vulnerable people every year across Bristol and Somerset. We help people insulate their homes and improve their heating. We support them dealing with fuel debt, finding better tariffs, getting the benefits to which they’re entitled. Secondly, we share our experience and advice resources freely. That helps other people and organisations around the country to tackle fuel poverty where they are, without needing to start from scratch. Our advice leaflets, web pages and videos are viewed and downloaded tens of thousands of times a year. That extends the influence of the work we do beyond our local area and multiplies its impact. Thirdly, we seek to influence government policy. If we can get the national policies right, it’s much more likely that the right support will be available everywhere it’s needed and policies will take better account of their impacts on the vulnerable and fuel poor. Now in their 14th year, the Ashden Awards celebrate pioneering businesses and organisations that are helping tackle climate change and improving people’s lives in the UK and globally. CSE won the 2014 Ashden Award for Reducing Fuel Poverty, supported by the Coutts Foundation. 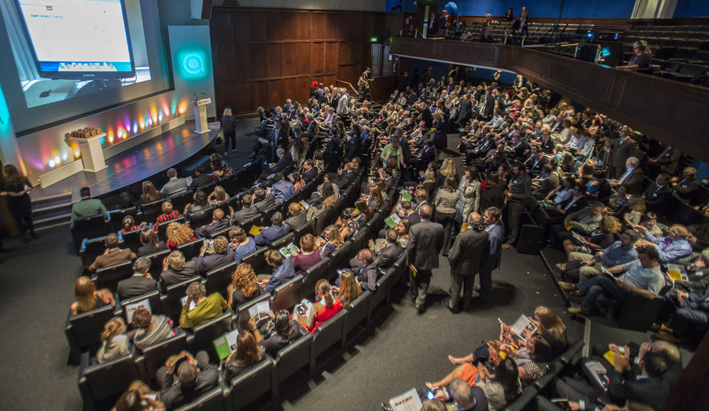 Above: A packed auditorium at the Royal Geographical Society.